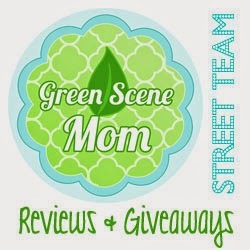 Trying To Go Green: Has someone you loved suffered a stoke? My dad has..
Has someone you loved suffered a stoke? My dad has..
A stroke occurs every 40 seconds in America . Twice as often, every 21 seconds, a traumatic brain injury (TBI) occurs. If you or someone you know has suffered a stroke or traumatic brain injury (TBI), you know that every precious second counts after the injury. Studies have shown that treatment administered within a few hours after stroke has proven to be the most effective for recovery. However, the first six weeks after the stroke or injury are when the brain’s partially damaged cells need assistance to begin the recovery process and start working again. Published medical research has demonstrated that citicoline, a fundamental nutrient that the body produces naturally, is especially important to the health and repair of brain cells or neurons. Citicoline supports the synthesis of phosphatidylcholine, and is essential for the healthy functioning of our cells. Citicoline is found in every cell in the body, especially the brain. After a stroke or a TBI, the brain’s demand for citicoline may increase as it tries to save damaged cells. CerAxon Oral Solution, containing citicoline, provides patients with the elevated citicoline required to help stabilize the brain during a stroke or brain injury. CerAxon Oral Solution is a medical food taken for the dietary management of brain ischemia (stroke or brain injury) in patients ages 18-85 with partially impaired swallowing (except for pregnant and lactating women), and is taken up to 1gm twice a day for up to six weeks. CerAxon Oral Solution is unique; there is no other neuroprotectant that supports cell membrane stabilization and is formulated for patients with partially impaired swallowing. Citicoline taken by mouth is safe and acts the same as the citicoline that is produced by the body. CerAxon Oral Solution is a medical food and is to be used under the supervision of a physician but it is available without a prescription and can be ordered at www.ceraxon.com or at your local pharmacy by request.